When he initially gained fame, Elton John lost his ‘connection and respect’ for himself and also his ‘humanity’. On Monday, 22nd Jan, 2018, the World Economic Forum honored the 70-year-old singer for his human rights work in Davos, Switzerland. He was honored along with Cate Blanchett and Bollywood legend Shah Rukh Khan. 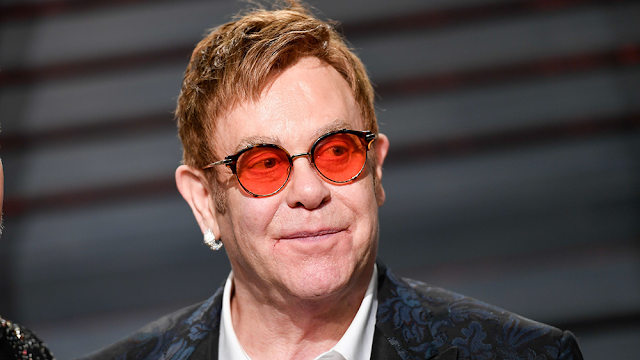 Elton was given the award for the money he raises through his AIDS foundation. He took to the stage in front of businessmen, trendsetters, policy makers and world leaders for accepting the award and admitted in front of anyone that he hadn’t liked himself much before he became a philanthropist. He said that he had gone to some very dark places through his passion and had lost his humanity and any respect he had for himself. At that point, he had realized that something had to change because he wanted to become a decent person and find himself again. Therefore, he had begun to look into charitable pursuits. In his speech, he asked the other big personalities in the room to make use of their power and fame to make a difference in the world. He stated that turning a blind eye to the problems wasn’t the answer and addressed the audience when he said that what they had made with their success. He said that there was no point in doing anything or achieving anything that didn’t change the world and strengthen the bond of humanity. Elton said that the work could give them wealth, fame and prestige, but good work was much better because it can give something richer than wealth, bigger than fame and finer than all the awards. Ending his speech, Elton said that things needed to change because there was absolutely no equality in this world and this was downright disgraceful.